When winter hits, it’s not just your mood that’s affected – it can also play havoc with your skin. Whether it’s over-heated rooms or freezing winds, skin takes a battering in the colder months, plus if you’re experiencing the menopause, that contributes to even more dry skin. The joys of being a woman, eh? So it’s time to schedule in a little skin time and swap scaly for shimmering! It’s time to be a little scrubber… Even though exfoliation may seem harsh, it’s what your dry skin is crying out for. However this doesn’t mean reaching for the brillo pad – choose gentle scrubs that won’t irritate your skin. Don’t forget your body either – a regular scrub in the shower will help keep skin glowing. Pay particular attention to those super dry bits as well such as elbows and knees. Give your skin a quick pick-me-up with a face mask. Choose one with hydrating properties to give dry skin a big ole drink or moisture. 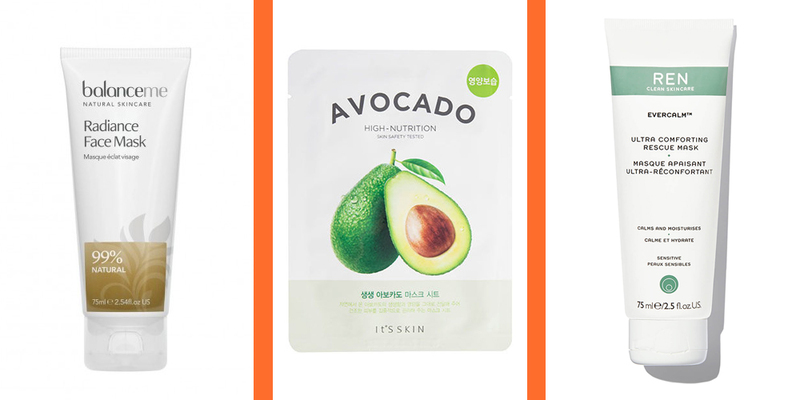 We love using sheet masks as they’re easy to use and come soaked in skin quenching goodness – just don’t answer the door while you’re wearing it. 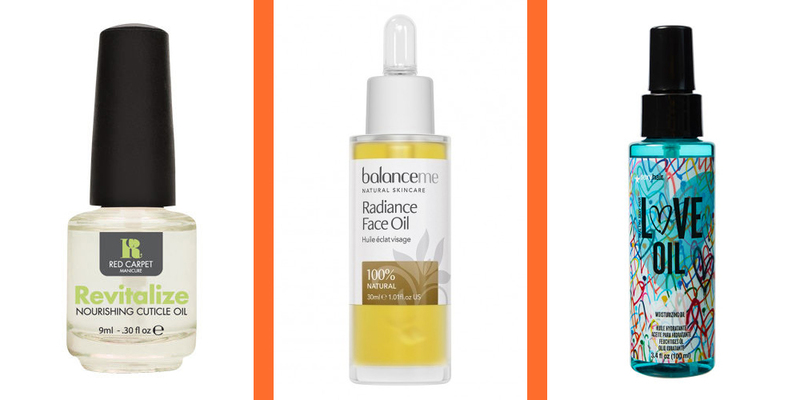 Oils are a great winter essential, even if your skin is slightly more on the greasy side. They’re easily absorbed and feel really luxurious on skin. Don’t just keep them for your face – oils are great for dry hair and we use a cuticle oil every evening to encourage healthy non-splitting nails. What you put in your body is just as important as what you put on your body when it comes to blitzing dry skin. There are lots of supplements you can take that help with improving the condition of your skin, hair and nails. Andrea swears by Lumity Life. Yes, they are pricey but she’s been taking them for about three months and has genuinely noticed a big difference in her nails and skin. Caffeine and alcohol can also dehydrate you and make your skin feel drier so up your water intake and swap coffees for a herbal or fruit tea.